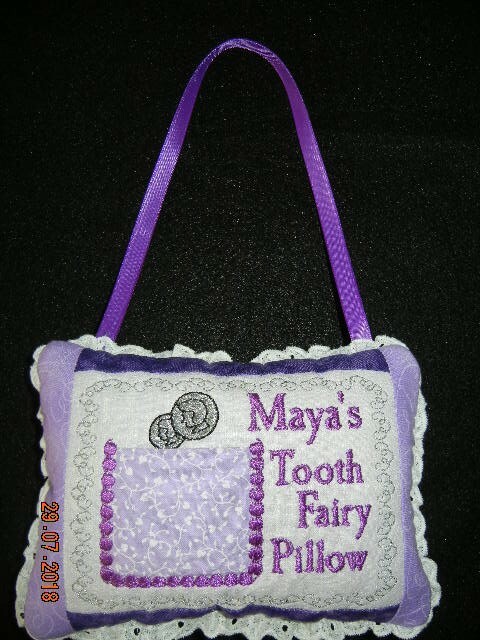 ITH Tooth Fairy Pillow for my great-niece Maya...All made ITH including adding the lace that I designed and digitized...She asked me to make her one as I had made one for her little sister, Leila...I thought that Maya might have been a bit too old to get one...BUT I was wrong! I guess one is never too old for a Tooth Fairy Pillow...Maya is nine and purple is her favorite color...Thanks for looking, Cuties! So sweet. Love the wording. Maya has good taste wanting to own that tooth pillow. 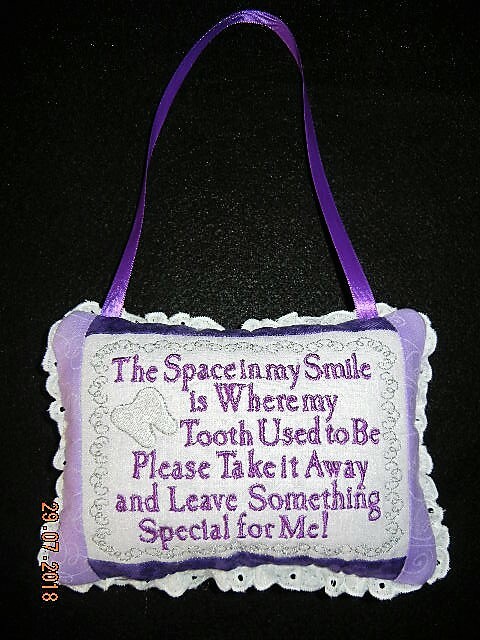 Very cute words - and she will feel very special. Thanks, Chris....they do love to get packages in the mail! So Fantastic clever Pillow!! 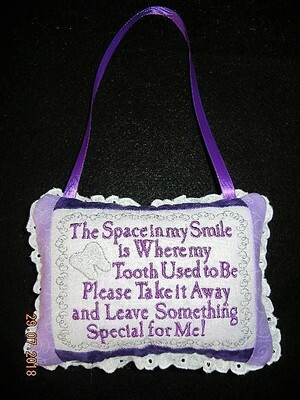 !Love it..Gorgeous wording and Work done!!! What a fantastic pillow! I like the designs you chose and putting words on the back really make this pillow unique. Nicely done! Thanks...I designed and digitized this...only way I know to get exactly what I want!